On-line courses allow you to control when and where you learn. All you need is a computer, a printer and internet access. This method does not require any classroom participation and all courses offered are approved by the NYS Department of State. There is a proctored, paper-based final exam requirement for licensing courses (which you will take at GRAR by appointment – Please check in at Suite 104 for all exams/exam prep/Q&A). Online licensing courses must be taken within 6 months of registration date. After 6 months, courses will automatically expire and will not be accessible. The proctored exam must be taken within 30 days of online course completion date. 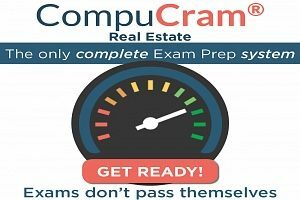 CompuCram® gives you all the tools you need to pass the licensing exam the first time. This exclusive system of combining study vocabulary, practice testing and simulated exams will build your knowledge and confidence. Code of Ethics in Action: Real Life Applications is an NAR approved ethics course that was designed to offer your members a new option for ethics as we approach another ethics renewal. Marijuana in Real Estate – This three-hour course reviews some of the key legislation related to marijuana, where the legal controversies exist, case studies, and the potential implications for real estate—including what’s at stake for you.